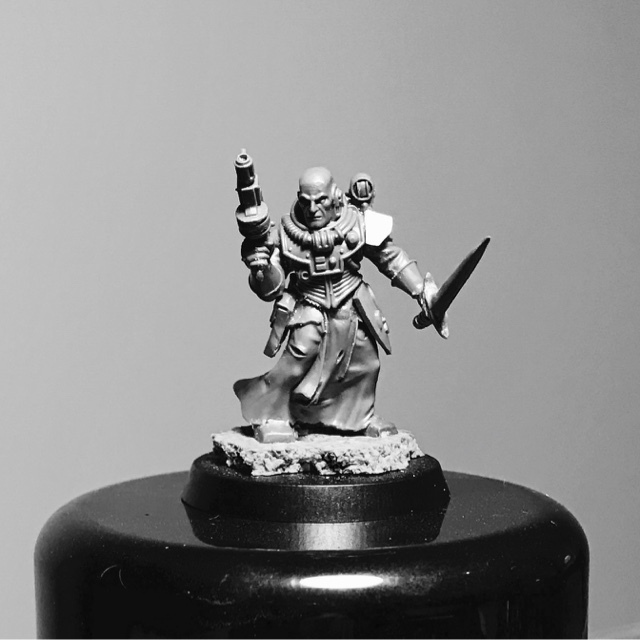 THE CONVERTORUM: First mini of 2017! I hope the new year has been treating you all well this far! 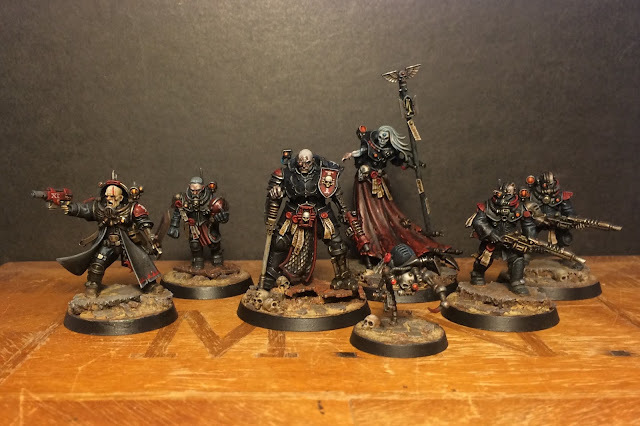 2016 was an interesting year for me hobby wise - even though my production of miniatures has been decidedly erratic I've managed to partake in some really cool communal projects. In early 2016 me Erik and Alexander had our Path of Glory campaign for wich I managed to build a Nurgle warband in just a few months. First real army I've done in ages. The game also gave us a chance to try out the Age of Sigmar rules (it was a lot of fun). After that it was time for the big one. This massive inquisimunda game masterminded by Migsula, PDH and John Blanche is one of the coolest projects I've ever had the honour to particiate in. I think that sentiment goes for everyone who took part. It is currently being documented in a series of White Dwarf articles - I think Lazaros and crew will be featured in the next issue. 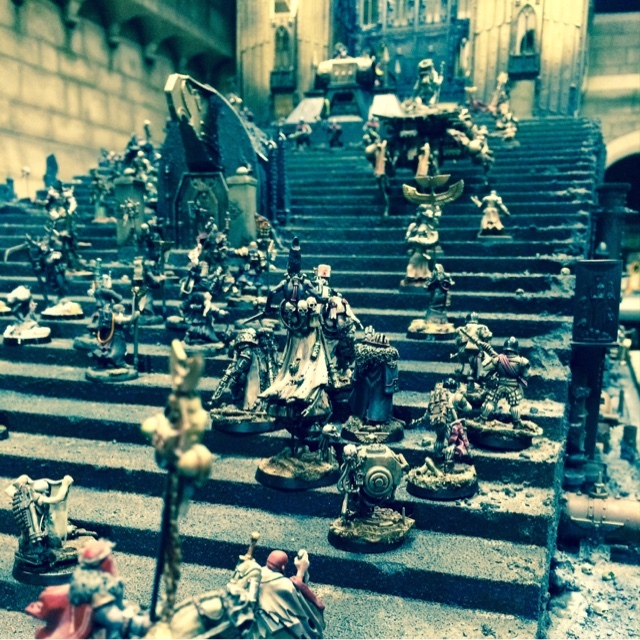 The gaming board and the hundreds of miniatures made for the game is currently on display at the Warhammer World Museum. After that I jumped straight into the next collaborative project. 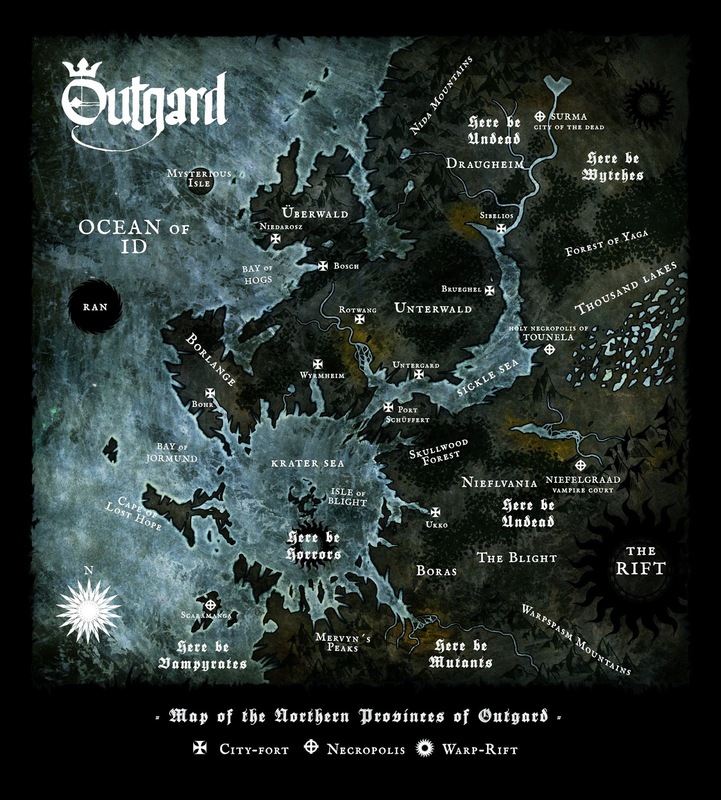 Outgard was initially just supposed to be a small game of inquisimunda set on a remote medeival world somewhere in the 40k universe, but it quickly evolved into something much bigger involving hobbyists from all around the northern countries. In the end I unfortunately couldn't participate in the actual game in Helsinki but I still managed to contribute with some artwork and a trio of models. All in all it's been a good year. All these big collaborative projects have been very rewarding. Perhaps the coolest thing about them is that they've all seem to have served as inspiration to others. Similar collaborations have been popping up everywhere taking cues from Path to Glory, Outgard and of course, The Pilgrym. These huge undertakings have also been rather exhausting - my hobby mojo has been waxing and waning as a consequence. This year I'll probably focus on smaller personal projects. I'd love to start up a league and do a Blood Bowl team. 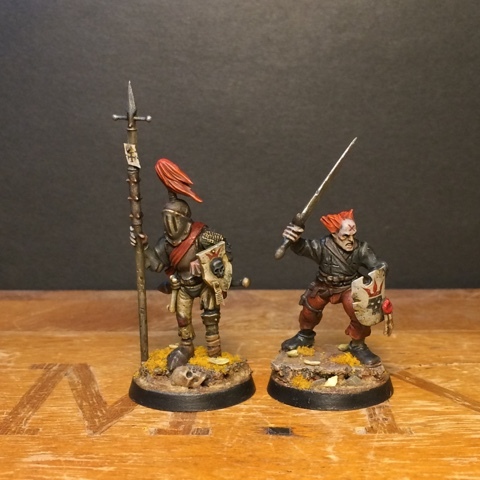 I'll also continue adding to the mercenary band I started in november. Here's the third member - first mini of 2017! Quite a year, and quite a new figure! That head always screams "Metabaron" to me. Haha! Great reference - it really does look like the Metabaron! Could you possibly some kind of guide or tutorial on how you paint black? It's so much nicer and realistic than the "give everything fake looking light outlines" thing that most people do. The undercoat is sprayed black and grey. I give that an initial wash of nuln oil mixed with chaos black. I then drybrush lightly with dark grey followed by an edge drybrush of standard grey. After that some edge highlights with standard grey adding a lighter colour to the mix depending on the black tone I desire (bone for a more organic black, celesta grey for a neutral etc). Finish up with a glaze to give the black a tone. Blue for a cold black, sepia or earthshade for a browner black. Great recipe, thank you a lot! 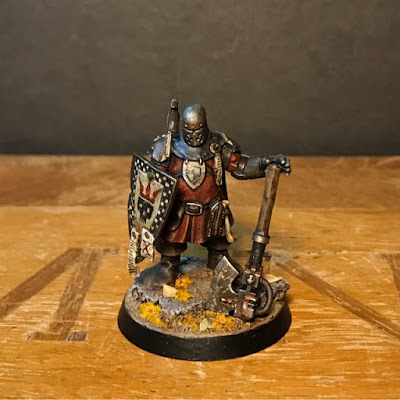 That stocky Knight for Outgard (and the similar, slimmer NPC one for Pilgrym) are my favourites of yours from last year. Perfect, perfect perfect. I didn't realise you've been so productive. That's a lot for an erratic year! Bloodbowl comes highly recommended from my side. There's a totally new refreshing feeling you get from making miniatures that are just a wee bit silly, and most of all just plain old FUN! Not to mention the fun of coming up with the players names - I'm planning a cheese-themed skaven team! It was an amazing year when it came to the hobby! <you have had a fantastic year. The first mini for 2017 looks really nice! Cheers! I think he turned out rather well. Simple but effective. Really enjoyed seeing you post up your ideas and executions of them. Shame! You could have used the original rules for Path to Glory from the original Warhammer(3rd and 6th edition), not the twisted ones by aos. 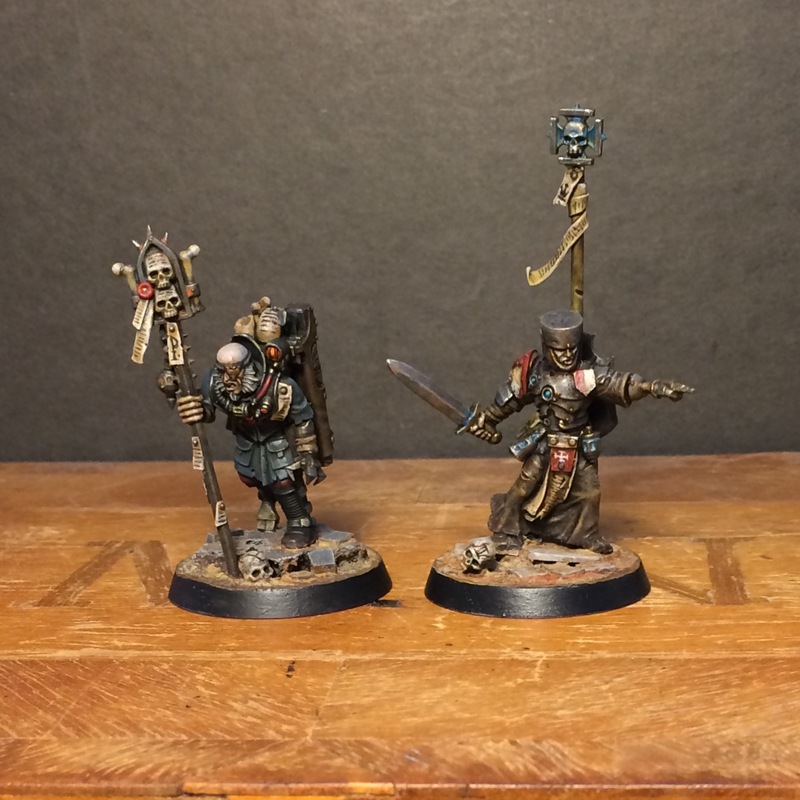 I guess we could have, but the whole point was to try out the new AoS rules with old school feel miniatures.